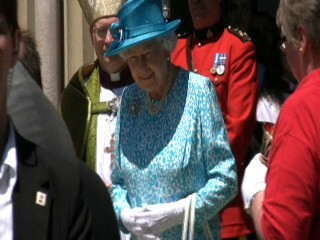 Queen Elizabeth II and Prince Philip brought their Royal Tour to Toronto to take in a Sunday service @ St. James Cathedral July 4. 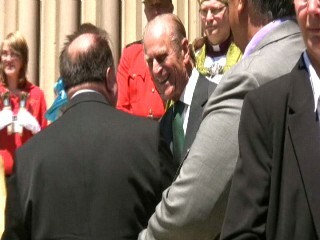 On July 5, the Royals visited the 11-acre Pinewood Toronto Studios, hosted by Chairman Paul Bronfman. 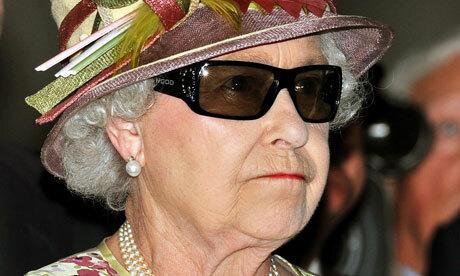 Her Majesty watched the filming of a 3D sequence from Canadian director Deepa Mehta's new mini-series "1812", lensed by DP Doug Koch, then was given a pair of 3D glasses, to watch a 3D playback of the sequence on a large projection screen. The Pinewood tour and presentation included over 100 hundred local film/TV industry personnel as well as Pinewood UK CEO Ivan Dunleavy.